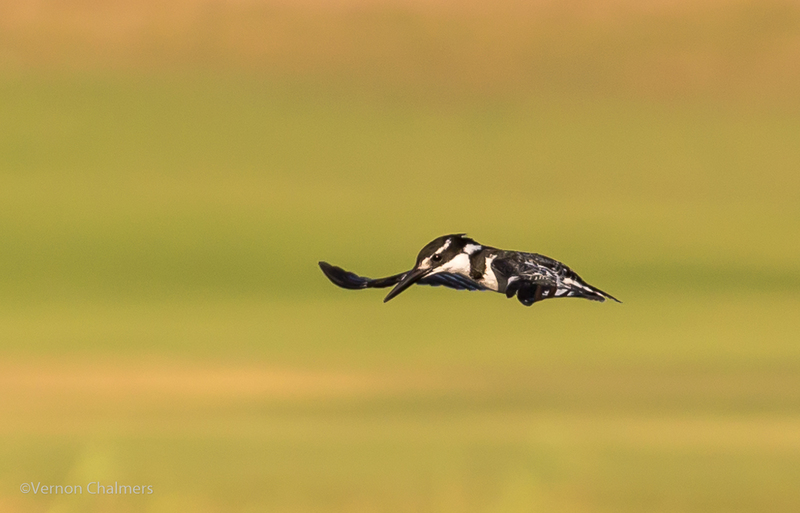 Capturing Birds in Flight with a basic Autofocus (AF) System and the reasonably slow frame rate of the Canon EOS 6D Full Frame body and EF 70-300mm f/4-5.6L IS USM zoom lens. 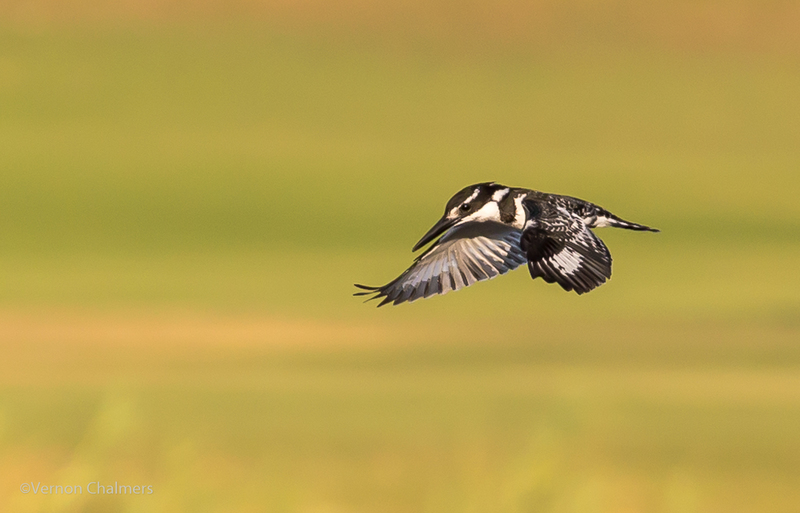 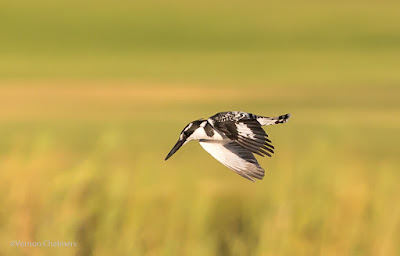 Generally, when I capture Birds in Flight at Woodbridge Island Cape Town, I prefer the extra fps and reach of a faster APS-C (crop) body paired with a 400mm prime lens. 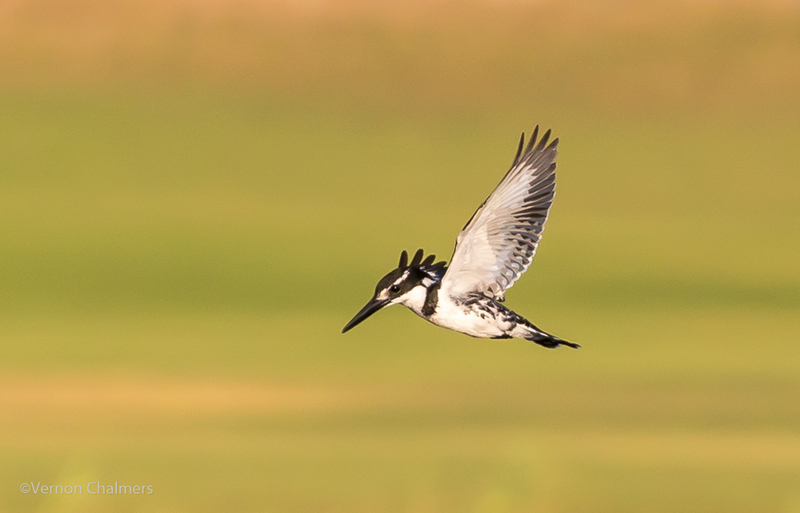 This morning I took the Canon EOS 6D (4,5 fps) and the Canon EF 70-300mm f/4-5.6L IS USM Lens while everybody around me captured birds in flight with the Canon EOS-1D X / Canon EOS 7D Mark II and the Canon EOS 70D - all of which have superior frames per second (fps) continuous shooting rate and superior AF systems compared to the humble Canon EOS 6D with its basic 11-Point AF system. These 4 consecutive images of the Pied Kingfisher are substantial crops, but the point is that Birds in Flight photography is possible without the most advanced fps / AF systems and / or fast(er) prime lenses.